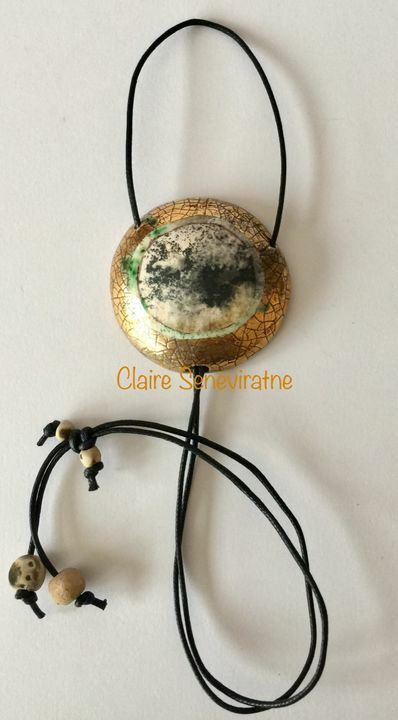 Claire Seneviratne - Ceramic Artist: Round smoke fired pendant with gold. Round smoke fired pendant with gold. Diameter of the pendant is 5cm.